Impressive collections of rocks, minerals etc. 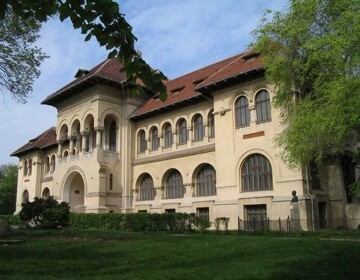 hosted in a stately architectural monument, near Victoriei Sq in Bucharest. Pupils and students: 4 lei/ticket. Locals in Bucharest have reviewd Geology Museum - Museums in Bucharest. You can get here description, reviews, address, map, phone, website of Geology Museum in Bucharest. Visit Bucharest Tips for more Museums in Bucharest!